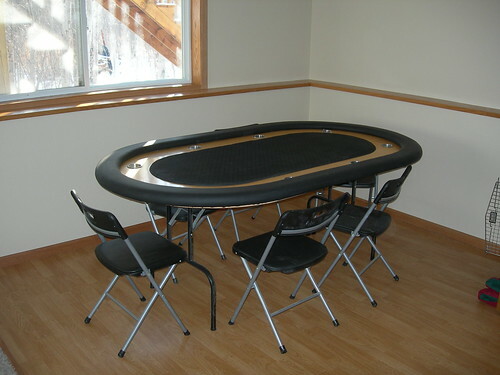 This site has step by step instructions on how to build a racetrack poker table with whisper vinyl padded rails. Step one in any project should always include careful planning (planning may be substituted by alcohol with mixed results). 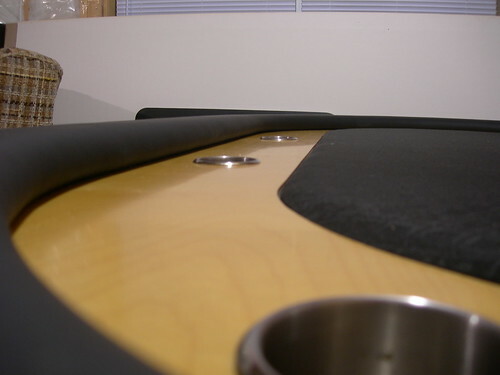 My plan was to build a high quality, free standing table with a wooden raceway, cup holders, raised whisper vinyl covered padded rail. I prefer the raised center for a few reasons. 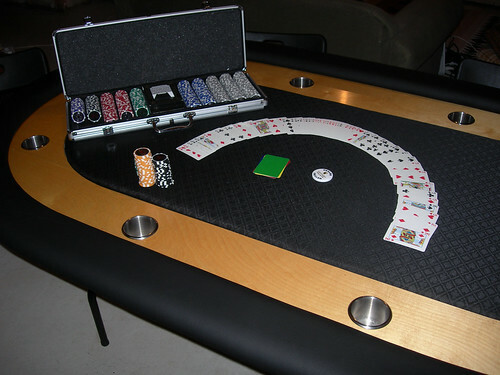 It makes it easy to see what people are betting without painting on a bet-line. 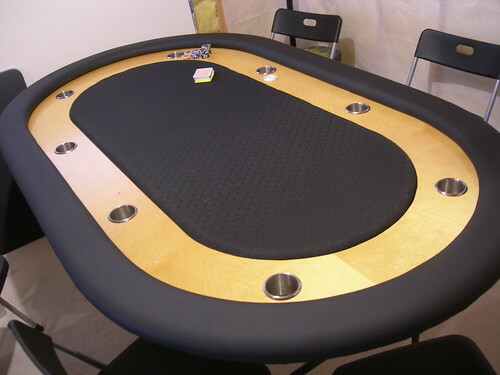 Last thing, When I build my padded rail, I’m not going to attach it to the table. I saw some at a poker store in the mall and they were not attached either. That should make it easier to clean. 2 Sheets Hardwood Plywood (birch 4 foot x 8 foot x 3/4″) 2 at $37.00 each. Wood Glue: 1 for $3.50. 3M(TM) Super 77 Multipurpose Adhesive Spray, 10.7 Ounces (7716) : 1 for $4.00. Staples: 1 box for $3.87. Polyurethane: 1 quart for $5.00. 2″ Foam Brush: 5 at $0.60 each. 29″BLK FOLDING TABLE LEG (Ebco Tools APF-B) : 1 for $18.95. Draw your first arc on what will be the top of your rail. You should only have to trace this once for the outside. If your jigsaw can handle it, cut both boards at once. This first arc will be the overall size of your table. If you plan on down-sizing your table, do so here. 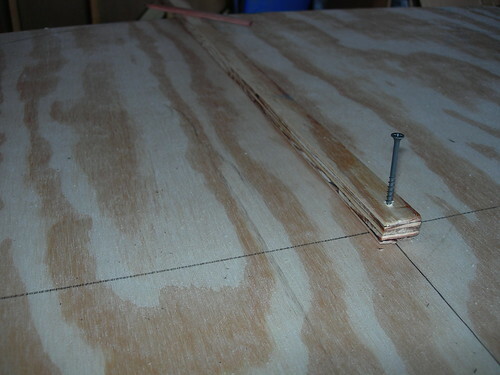 You’ll be using this outside arc for the measurements for the rest of the table. To draw the arc, I made a makeshift compass. Basically, find the center of the board near one end. Nail or screw it in (don’t worry, we’re cutting the middle out and discarding it anyway). Use a pencil to draw the arc.